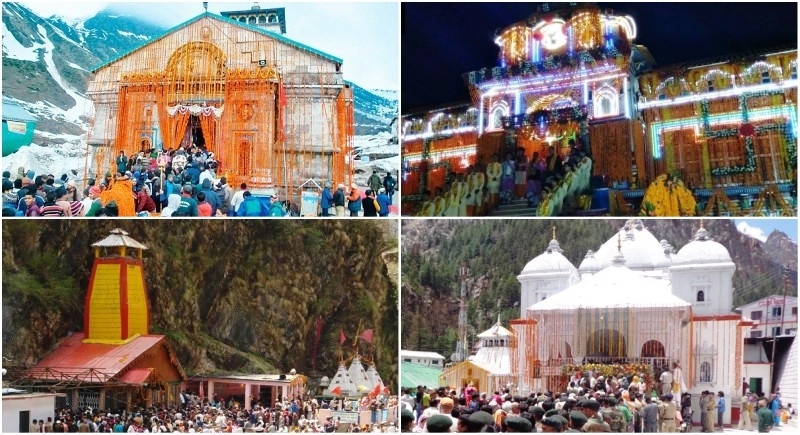 Dehradun, April 30: Much awaited Char Dham Yatra has been started for its devotees as the Two Dhams that is Kedarnath and Badrinath have opened their holy portals and now all the four temples are open for pilgrimage. Last year nearly 24 lakh devotees visited the Yatra, this year it is estimated the visits to double than the last year. In order to avoid the long queue for the devotees, a special arrangement of registration has been made this year, in which the time of Darshan will be given. This will facilitate devotees to enjoy nearby temples and panoramic views. On Sunday, the sacred portals of Kedarnath Dham were opened whereas Badrinath Dham’s portals were opened today at 4.30 am. The remaining two Dhams that is Yamunotri and Gangotri’s portals were opened for Darshan from April 18. “This year, the government has ensured all the necessary arrangements for the devotees who come to four Dham visits. All the road, electricity, water, health and safety arrangements have been taken on foot from Gaurikund to Kedarnath” he added.